Police are hunting a pair of lowlife thieves who were caught on CCTV distracting a elderly woman before snatching her a purse as she shopped in a supermarket. 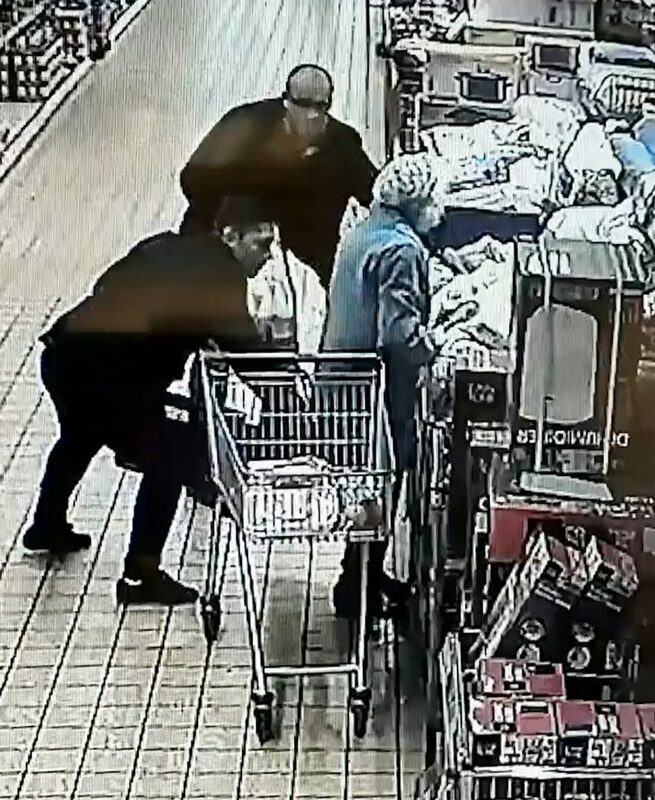 Shocking footage shows the callous crooks targeting the 87-year-old victim as she wheeled her trolley around an Aldi on Tuesday (24/10). 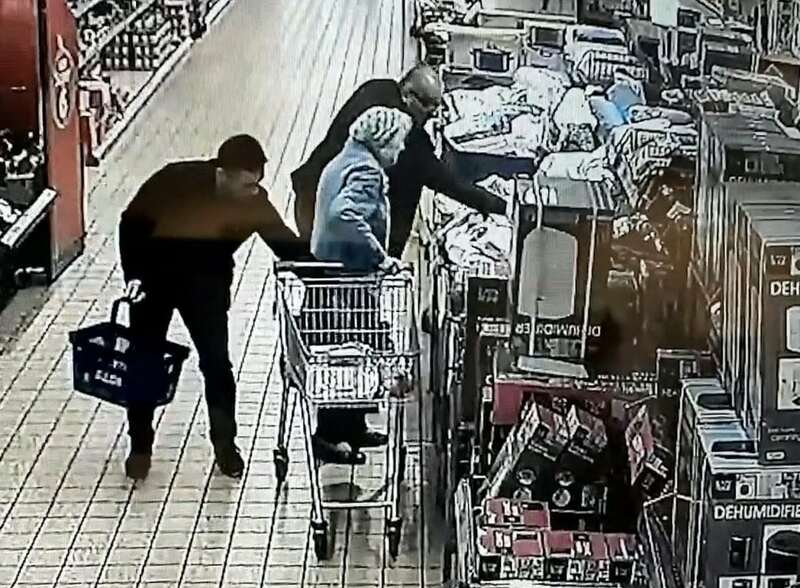 One man can be seen distracting the pensioner by pointing out items on the shelves while his accomplice spends a few seconds rooting around in her bag. He then retrieves the woman’s purse, pausing to even checks its contents, before he puts it into his pocket and walks away. West Mercia Police have released the footage in a bid to catch the heartless suspects, who are described as being Eastern European and in their 40s. 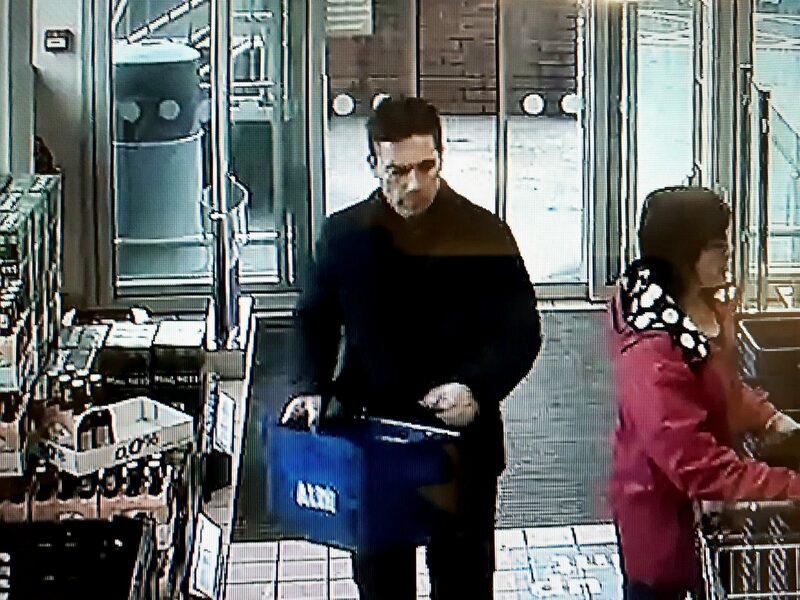 The theft happened at the Aldi supermarket, in Oswald Road, in Oswestry, Shrops.,at around 10.25am. One man is said to have short hair and was wearing a smart blue jacket, while the other was bald with glasses, stocky and wearing a black jacket. A police spokesman said: “West Mercia Police has released CCTV in connection of a reported theft. 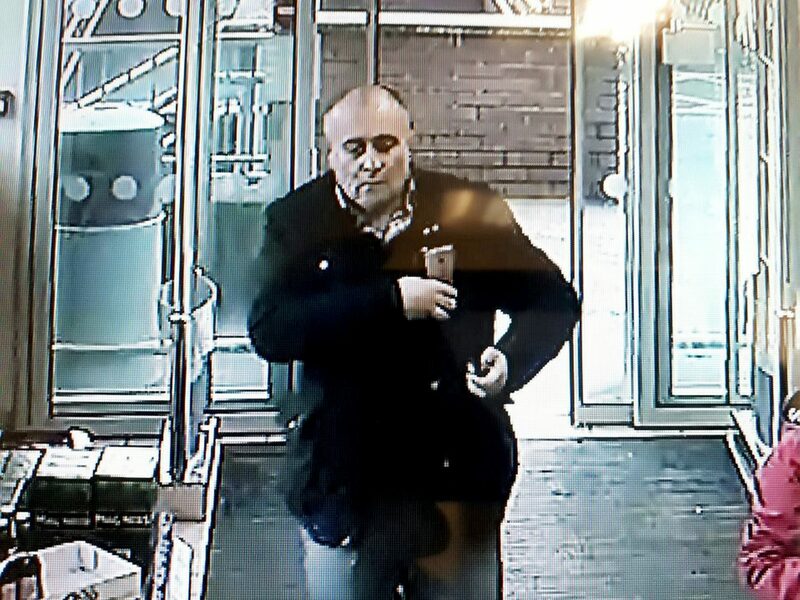 “The incident took place at around 10.25am on Tuesday 24 October, in a supermarket on Oswald Road in Oswestry. “Anyone with information is urged to contact West Mercia Police on 101, quoting 251s of 24 October 2017. Just hours after police posted the appeal, a Crowdfunding page has raised more than £300 for the pensioner. The fundraising campaign was started by Amanda Williams – who said she was prompted to start the page after the footage made her feel “mad”. She said: “Basically all I want to do is a collection for this lady who was involved in a distraction theft. “I was watching the video and it really upset me as this could have been a family member of mine, it could be anyone’s mum or nan. “Everyone was commenting on how bad it was on Facebook so I just decided I wanted to do something to help.